There is a current crop of games (Crysis 2, Killzone 3, Vanquish etc) set within what I’m calling ‘Sci-Fi Realism‘ – as in an era that’s not current day but is not so far into the future that looses it’s route back to the technology and culture we know today. Sci-fi Realism offers a number of pros and cons as a setting. The pros are that you can weave the familiar with the ultra new – so you take the player to a new place, while still keeping enough of understanding that they don’t get lost and thus retain a connection between them and this new setting. The connection is important because if the player does not really care about the setting, it’s harder to engage them to keep playing. Let me give you can example; most aliens in Star Trek are humanoid – a mix of the new and the familiar. This is partly because it’s cheaper for special effects and costumes but it also has the pro that the audience can engage with them; we can see ourselves as kin to the Bajoran. That’s a lot harder with Tribbles. The cons are that we risk not exploring the fiction bit of science-fiction because we’re too busy making it science… if you see what I mean. Again, lets have an example – in Iain M Bank’s (great) novel The Algebraist – he creates a really alien race, the Dwellers. They inhabit gas giants, are male most of the time, turning female to have kids, which they then disown and even hunt. They are not at all humanoid, looking like a manta-ray sort of thing at one stage of their life and their lifespan is billions of years. In short they look and act alien; in the physical and the philosophical sense. It’s hard to identify with them – but you are very interested in them and what they do. This means we really feel we’re on a journey to a different place via the novel. Which brings me to the Killzone world. 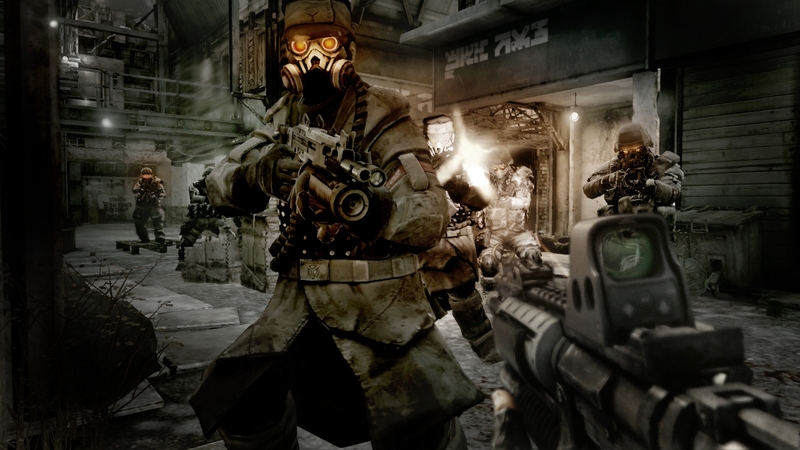 I really enjoyed Killzone 2 – it’s a solid game with good controls and intense combat. As for it’s sci-fi realism – it has spaceships and very full-on sci-fi technology – but also lots of weapons that look not dissimilar to the kind of technology you’d find today. Indeed some of it feels like the kind of technology you would find in WWII. This might lead you to ask, ‘if they can fly though space, why are the weapons they use not lasers?‘. But the best technology is the tried and tested sort; the tech that is robust, easy to manufacture and repair. Good old-fashioned bullet-based technology suits the neo-future of Killzone. It’s familiar to the gamer, so fun to play, yet we still get the spectacular space scenes while we fight WWII in space. It’s a great use of Sci-fi Realism. A tradition they seem to be growing for Killzone 3 – where we’ll get access to flying technology that is very sci-fi; yet still feels like a good old fashioned route to a solid fire fight. Should be fun!